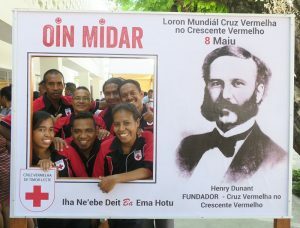 Cruz Vermelha de Timor-Leste or CVTL (Timor-Leste Red Cross) celebrated the World Red Cross Day on 8 May 2018. 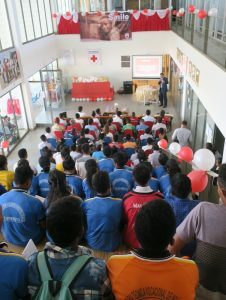 The event focused on celebrating the volunteers with fun and educative activities. The main event was the CVTL Quiz where each department wrote questions specific to their fields to help everyone learn about what everyone else does. For each correct answer, a prize was awarded. There was also a session about the history of CVTL and Red Cross, an exhibition under the theme “what about CVTL that makes you smile?”. CVTL also organized a radio talk show with the Community Radio Metro, a Facebook campaign, and dance performances. 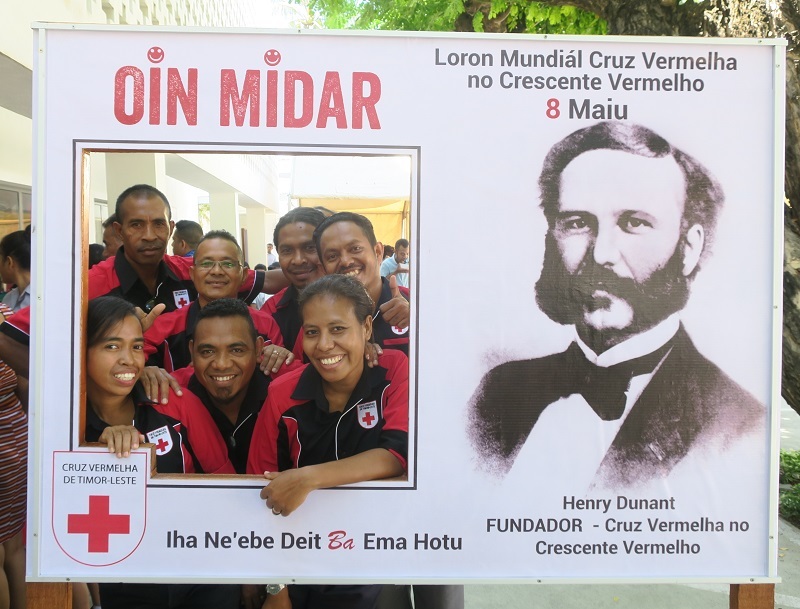 The Henry Dunant Photo Board was the highlight of the event with hundreds of photos being taken and shared. 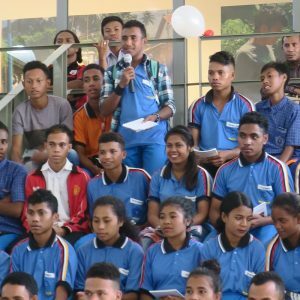 Two of the schools that CVTL works closely with, as well as Dili Branch volunteers, joined the celebrations. Although the event was relatively small this year due to it being held during the election season, it was a fun event and an opportunity to recognize CVTL most important asset, its fantastic and dedicated volunteers.